Had a fantastic day at The Hawk Conservancy near Andover yesterday! The weather was beautiful and the skies were a rotating menu of mostly cloudy to partly so. Neil and I drove the hour and a half to the Conservancy with the intention of staying for all three flight demonstrations‚Äì risking rush hour traffic by remaining late enough to see the herons come out for their late afternoon feed. With such magnificent displays of birds, who really cares about what the motorway congestion may be like! I could’ve stayed much longer to further saturate myself in the majesty of the creatures we saw, but unfortunately for me, all of the good folks who run the place have to shut the gates for maintenance and clock out for the day well ahead of my desired exit time, but that’s just how it goes. 🙂 We’ll certainly be returning again soon. 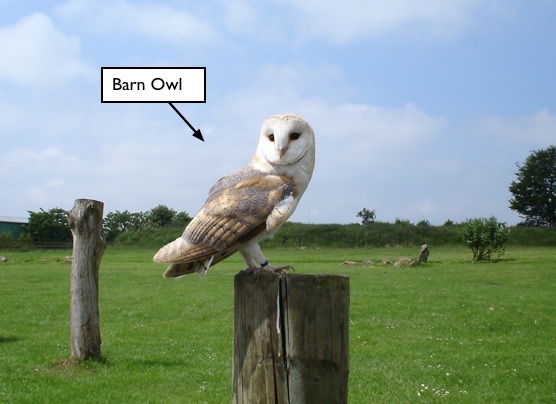 Among the birds displayed were several species of owl. They swiftly won my heart as my favourite birds of the day. 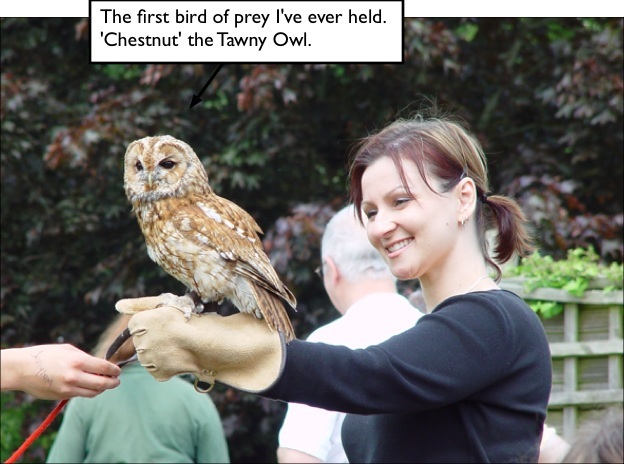 You see me holding a lovely Tawny Owl named ‘Chestnut’ in the above photo. 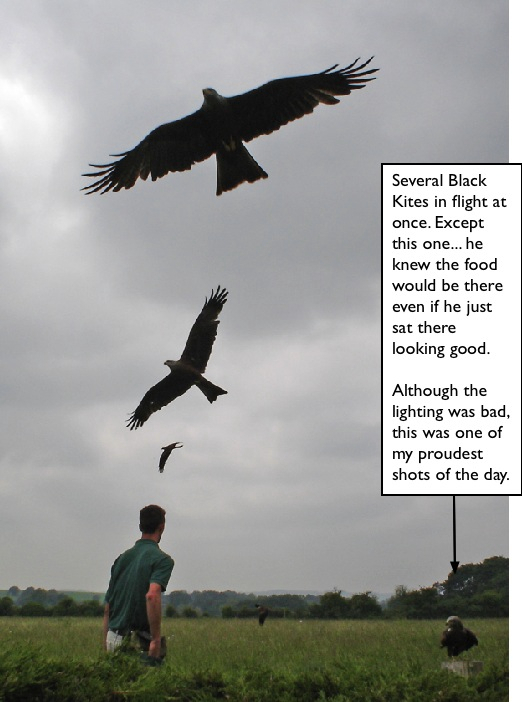 I later had the pleasure of holding a Harris Hawk as well, but unfortunately the landing on my outstretched hand, quick meat snack and call to his trainer was difficult to capture in photos. 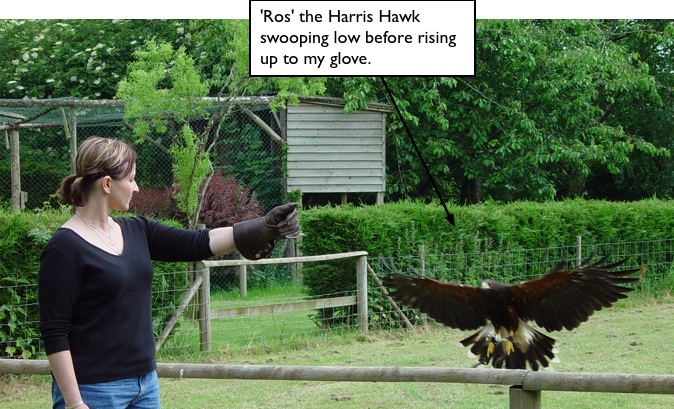 Here she is, (her name is ‘Ros’) coming in for her landing on my glove. It was positively shocking how light-weight these birds of prey are. 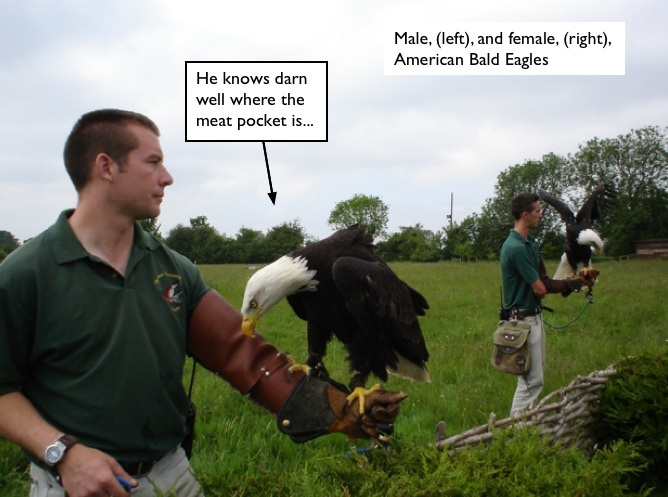 With the Bald Eagles we saw later in the day merely weighing in between 6 and 9 pounds, these much smaller birds seemed to weigh less than the glove I wore to protect my flesh from their sharp talons. 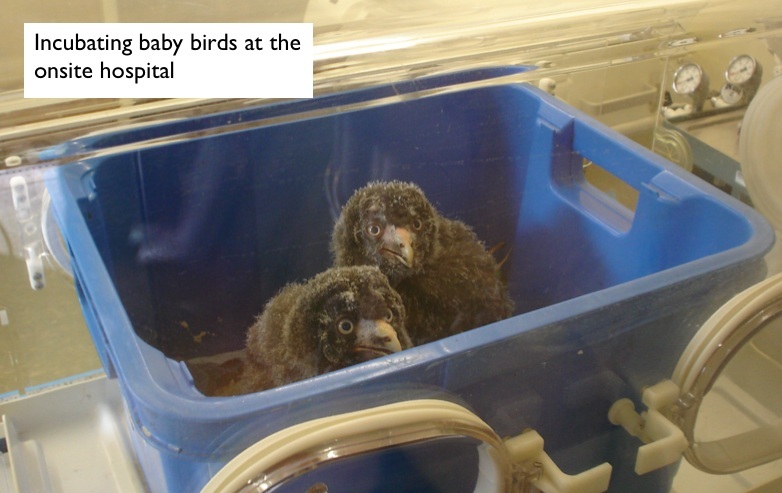 Aww the chicks are sooo cute.